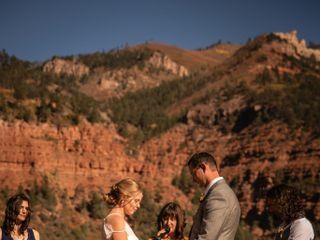 Southwest Ceremony offers wedding officiant services to couples planning their nuptials in the Durango, Colorado area. 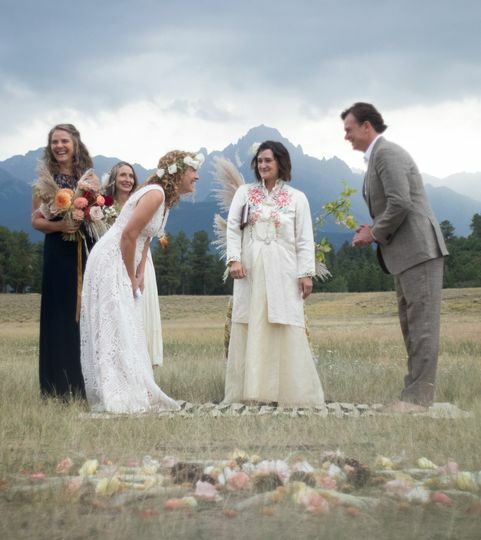 Southwest Ceremony founder, Jaime Becktel, is a writer and illustrator by trade who first started officiating weddings and ceremonies at the request of her friends and family members. She would be humbled by the opportunity to deliver the ceremony honoring the love of two people through marriage on one of the most unforgettable days of your lives. 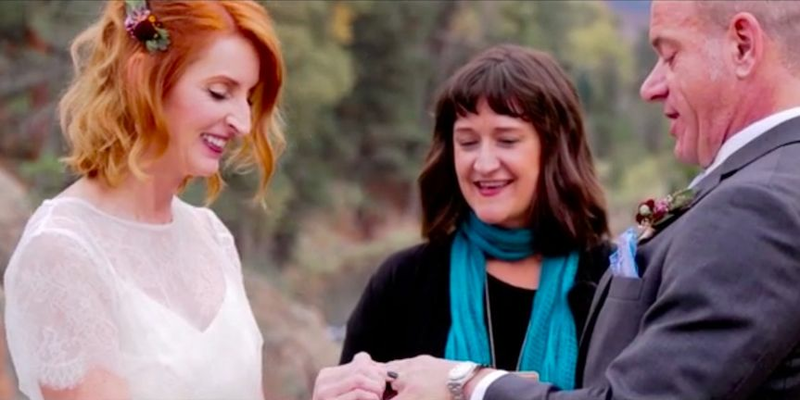 Through Southwest Ceremony, Jaime is available to officiate several wedding types, including civil unions, interfaith ceremonies, non-religious ceremonies, rehearsal dinners and now renewals. 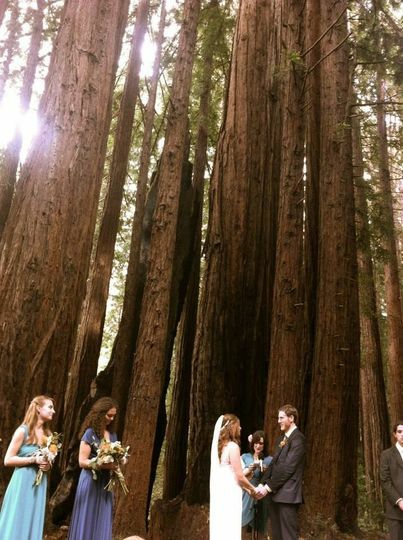 Her wedding officiant services include customized vows that are unique to the couple. Prior to your wedding day, Jaime will sit down with you to learn about every detail of your love story and why you have chosen each other in life. 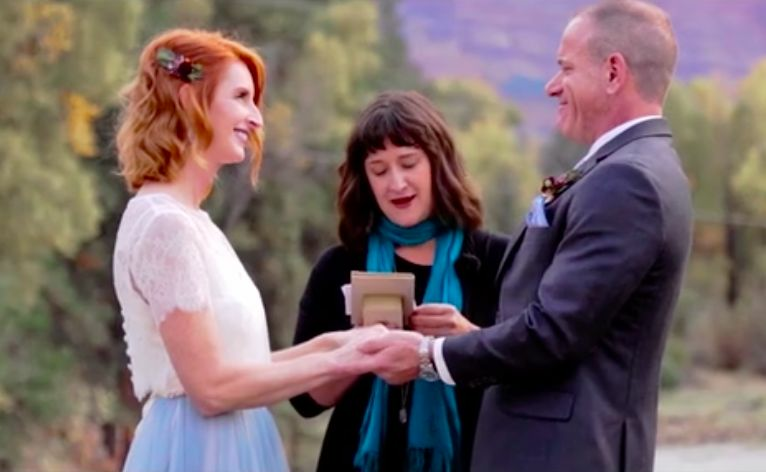 After 20 years of living together and raising our 16 year old son, my now husband and I decided to elope to Durango October 2018. We decided last minute (literally!) we wanted someone to officiate. I found Jamie online and contacted her the day before the ceremony. Three words: BEST DECISION EVER! We communicated through email, text, and once by phone the day before wedding and met an hour before the ceremony. The photographer I hired graciously invited me to her home to get ready so we could have a "first look" without the groom seeing me since we were staying in a hotel. Jamie met me at the house and stepped in as though we had known each other for years, helping me with final dressing preparations when the photographer had to leave and take groom to first look location. Her gentle spirit, sweet voice, and kind words calmed my nerves and helped me gather myself before leaving the house. Because we were doing a first look in town and then driving to Bakers Bridge to do the ceremony, the groom & I had to drive separately. Jamie helped pack all my things from the photographers house, loaded it in her car, helped me with my dress while getting in and drove me to the first look location; a public bridge in a pretty setting. She helped control the flow of people so we could get our first look and photographs without strangers walking thru the shot! After that she drove me to Bakers Bridge and performed an absolutely beautiful ceremony for the two of us. One of the things she had learned about us the day before while we were emailing back and forth is we're both in the medical field and met at work all those years ago. 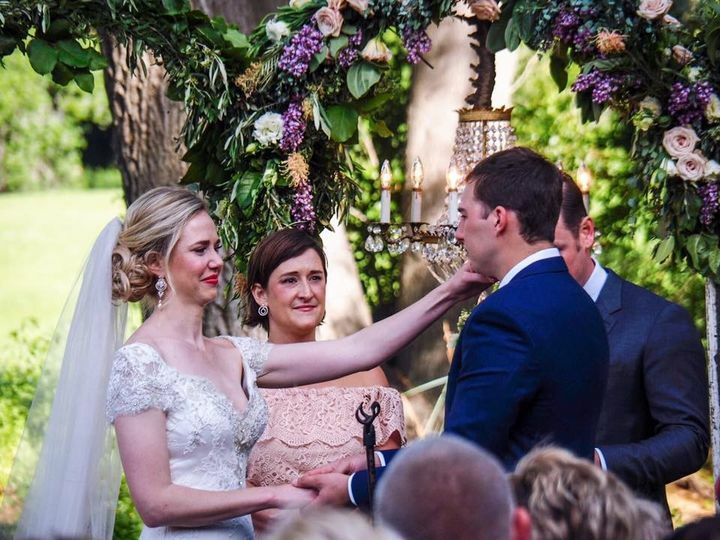 In addition to reading poetry during ceremony, she brought their bible from the early 1900s and shared the most beautiful story about her great grandmother (a nurse) meeting her great grandfather during WWI, and living a long happy life as husband and wife. It was special, personal, and perfect for us! These words are too kind. Being part of your ceremony that day was a huge honor, and you were both just as sweet as can be. 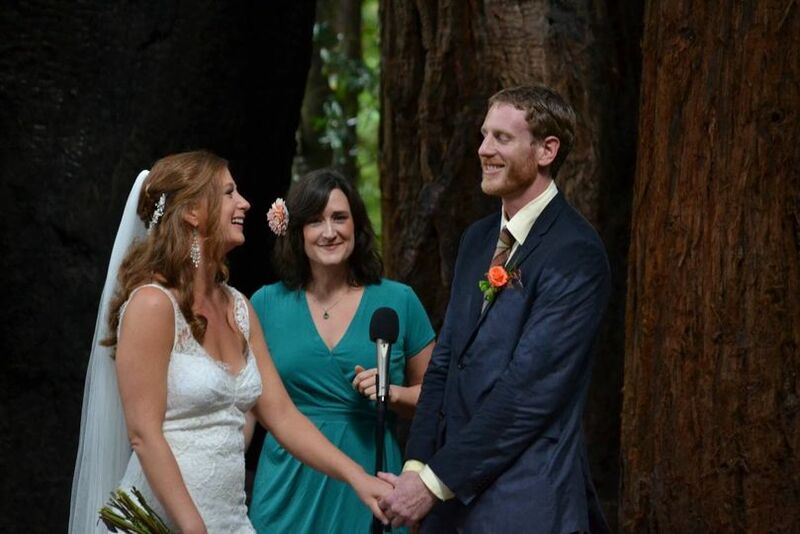 You reminded me yet again of why I officiate ceremonies... because I get to share in the joy, the magic and the love. 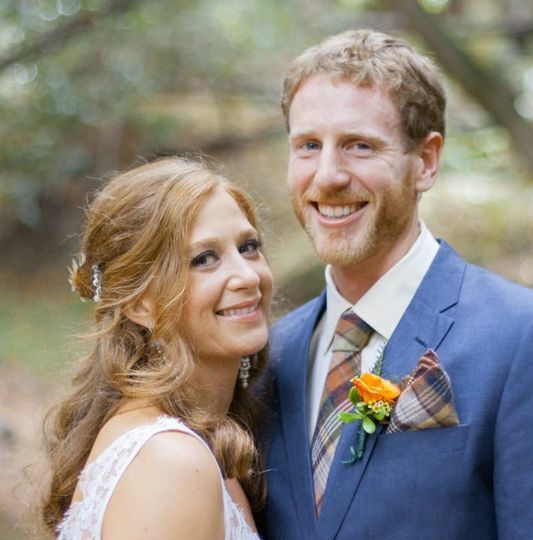 Thank you so much for your kind words and for choosing me to officiate your truly magical elopement. 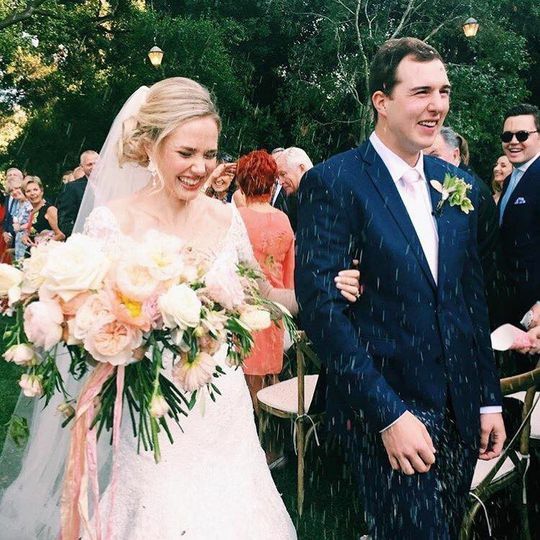 My son and daughter-in-law were married in a small, intimate ceremony on the beach in Cardiff by the Sea, California in August of 2018. 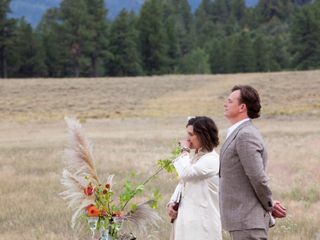 Jaime did a wonderful job delivering a ceremony that was both beautiful and heartfelt, including unexpected ceremonial elements that we all loved, such as releasing flower blessings into the sea for the newlywed couple. I couldn't be more pleased with how their ceremony unfolded. 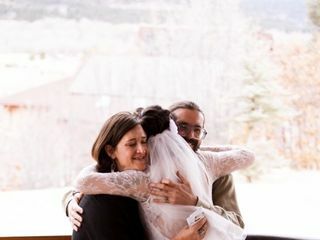 It was beautiful, memorable, joyful and tearful, and I would recommend her highly as an officiant. Jaime was the perfect officiant for my beach ceremony. She is an incredible speaker and put her heart into each word. We used my great grandmas matrimony book and Jaime spoke from it with such love, there wasn’t a dry eye. My husband and I adore Jaime and felt so blessed to have her marry us. I would recommend Jaime to a wedding of any size. She is so talented and creative adding her own twist. Thank you so much for the kind words Allie. It was such a pleasure to be part of your special wedding day on the beach, surrounded by family and the beauty of the ocean! 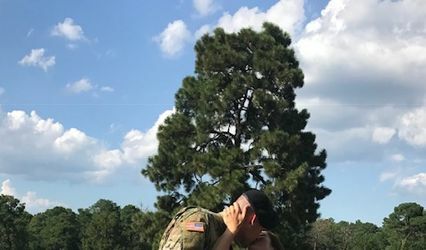 My brother is in the Army, so as a thank you for your service to our country and to our communities, I would like to offer you a 20% discount on my officiating services.